Home Latest News Slider Precision Air End Of Year Financial Statements (2014) - full report. 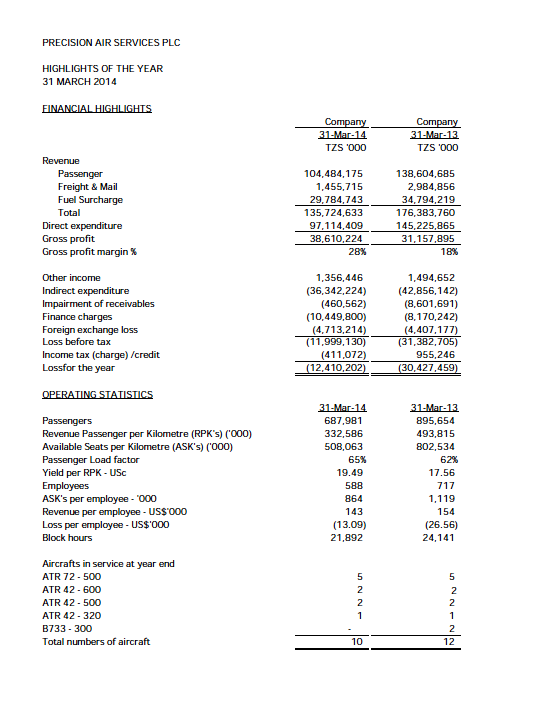 Precision Air End Of Year Financial Statements (2014) - full report. Detailed Financial Report can be found on the following link.